Club Penguin Cheats by Mimo777 Club Penguin Cheats by Mimo777: Tootsville "BLASTS OFF" This Saturday! MIMO PARTY! Tootsville "BLASTS OFF" This Saturday! MIMO PARTY! Look out! ZAP ATTACK! ZAP ATTACK! By the way, and remember you heard it here first, there is a secret pivit hidden in the crates and another floating in a crate in the game. You have to be a VIT to play but everyone can go in and watch. The game launches this saturday so I am having a party! Hope you can make it cause I have my spacesuit and i'm ready to go! Remember JACK?! I love Jack. This saturday our great friend JACK is introducing his friend SNOWCONE, who will replace jack for the holidays. I got a chance to meet SNOWCONE and he is just as COOL as JACK. He told me he is going to give out more prizes than even JACK did, woot! Tell me what you think after you do. I live in the UK and it's at 10 o clock at night!!!!!! uh mimo? i was wondering if you could change the time for the party... cause it doesn't seem that... well i dont think its a very good time because i have to wake up at 2 AM if i want to go. and my parents are really strict about what time i go to bed so if you could change it i would like scream with hapyness and like, yell. I'm the first 1. On CP the homepage has changed to ninja's. Also, the agent phone is now HOT SAUCE! Looks pretty cool I cant wait! And its 7am for me! Thanks =] Im usually awake at 6am so I will be there YAY! Haha i noticed that too! Its awesome huh? Bwhahaha i live in UK, ill be going! :D O well mimo will have LOADDDS more partys anyway! Aw mimos gonna have LOADS more partys ya never know! one might suite your time! Lol this is an Australian party! Im English so I might not be there because of the time, but i dont mind because Stickers is always saying you should have an Australian party on Twitter lol! I'm sure you would scream with happyness but for the rest of the people would probably scream with disapoinment. Sorry but I don't think that mimo would change a party for one person. How do you become a free member? Hey Mimo, I figured out that theres now the fire door in the fire direction of the amulet on the floor and there is ice on the opposite side and water at the top. doesn't it mean there will be like a snow door and water door? Holy Smokes! The mats on the Volcano have 3 or 4 spaces on them! That means we'll be playing 2 or 3 peeps at the same time! Mimo! 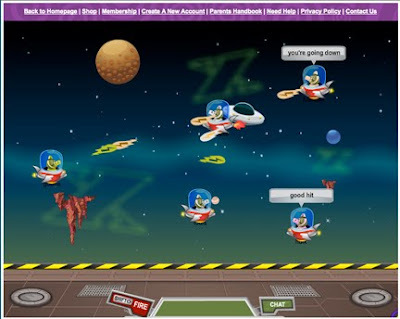 OMG The home page is crazy with ninjas! i might come to your party mimo :D but i might not because im revising for my tests. And club penguin is doing to much for members? Non members can only watch the game? "yay"
ill be there mimo! Tootsville rocks and thanks for giving us the inside scoop! you rock! OMG MIMO! I was watching the Card Jitsu Fire from your blog and as you said the fire part lit up..HOW BOUT WATER ANT SNOW! I was thinking Card Jitsu Water and Card Jitsu Snow! If this is good and u post it give me credit plz! MIMO I GOT SCRIBBLENAUTS IT IS AWESOME!! Ya but before lots of ppl said that theory me too when the vid came. 4am! really! well i guess i know how you UK and australia peeps feel! 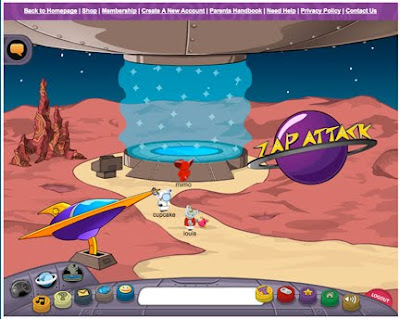 Zap Attack looks like a cool game! P.S. Did you notice it was Friday The 13TH! Watch your back! chobots robots are ready next week. Yeah mimo posted about it. Cool huh! You cant be a free member. Mimos friend Billybob gave him the membership.Hope this helped. coolio! sorry mimo i cant go to the party because for me its at 2am!!!! Well I know of three ways. One is if you have a succesful blog like mimo. The second way is if someone gives you a membership giftcard. And the last way I know is if someone who has a succesul CP blog has a contest with the prize being a membership giftcard. My guess is that CP probably will make the others. You can't just make fire and leave out water and snow. Yeah Mimo already posted that. OK I CALLED MY FRIEND VENUS AND SHE SAYS! " If you're gonna post this comment on mimos site, i just wanna say that mimo is like, the elite dude of the world!" that's what she said word 4 word. peace out dudes! lol look at the front pade of clubpenguin the peeps r ninjas! Tootsville ey? Well umm.. -.- have a cp party for once with an invitation. Yes yes we know this Freddo Bones, Thats why Mimo updated us with the ninja and new play cheats below scroll down for that, if your asking why those home screens were showing, changing etc. Yay..... LOL! Great to here Stickers303, glad Mimo fixed up Australia for you guys! No harsh feeling Sprockdude, but Mimo can't change the time because one or two people can't go. It'll be unfair. sorry mimo I can't make it im going to star wars in concert with my mom. make sure snowcone drops by next saturday at noon! maybe that could be a good party date. I realized that too! Good eye! Its me Trisaurous aka lucario12321 on club penguin. I bought some club penguin plush on the 10th. I was wondering if you wanted some Pics.Oh if you want pics just comment on this. Like several other ppl, i have to wake up at 2 am, was that a mistake or what? If youre talking about on Club Penguin, you can't. You have to get a membership code somehow, whether you buy it, or win it in a contest, or something like that. Yeah, its REALLY unfair, but they need more money so they can do more stuff, thats why they do it. soory couldn't go. Had to go to my friends b-day party ! He had a trampoline, a Huge Water slide, and a piniata! Mimo check this! 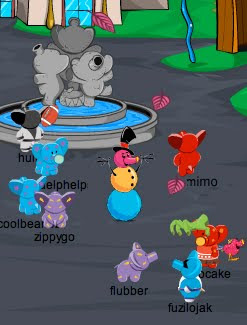 On the CP homepage has changed to ninjas. Also the agent phone has turned into HOT SAUCE! Sorry but he already posted it. Keep trying!